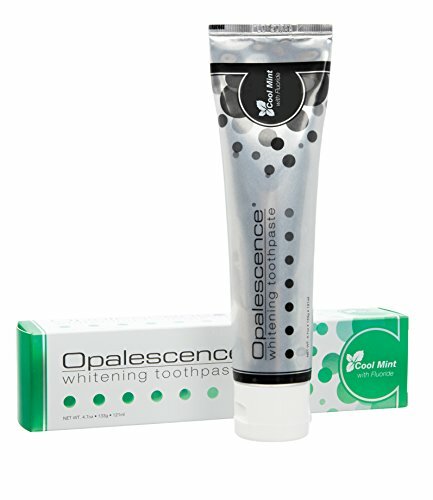 Opalescence Whitening Toothpaste Desensitizing Vanilla Mint provides you with: • Cool Mint with Fluoride. • Anti-cavity, surface stain removing toothpaste. A low abrasion formula for maximum enamel and dental work protection. • Leaves your mouth with a cool, clean and fresh feeling. • Natural flavors and ingredients. • For Sensitive Teeth. • Contains potassium nitrate. • Free of sodium lauryl sulfate. • Comes in a fresh Vanilla Mint flavor . Made in USA. If you have any questions about this product by Opalescence Whitening Toothpaste, contact us by completing and submitting the form below. If you are looking for a specif part number, please include it with your message.